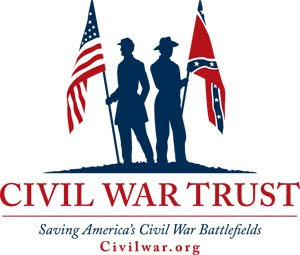 At times, sometimes at church, or out in the public, folks come up and say, “I heard you were a Civil War buff.” I’ve even been introduced as such. Since attending/participating in my first reenactment in November 1982, I’ve been obsessed with history – and obsession is probably not even the right word. And it is not just the Civil War, or North Carolina’s role in the war. Many of you know that I write local history as well. Why? I just feel compelled to get stories of the past on paper. But it is even more than just local history. I think I could go about anywhere and write about anything. Now, to be honest, I do not have the background for some of these subjects. For example, my knowledge about WWI and WWII does not surpass History Chanel level. 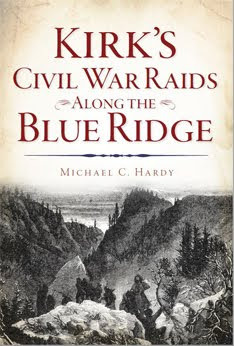 I discovered that when I wrote my history of Watauga County. As I was struggling along, I really felt out of my element when it came time to cover those periods of American history. Granted, I needed to know how the war affected local communities, not what was happening in North Africa, in Germany, or Japan. But still, I felt out of my comfort zone. My interested in the Civil War goes beyond just North Carolina. 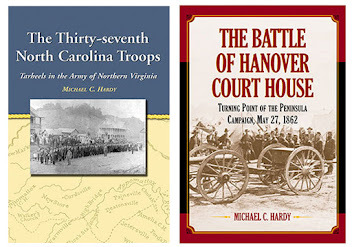 The book I wrote on the battle of Hanover Court House (VA) spawned an article, a biographical piece on Irvin McDowell. I do wish the publisher who has it would publish it. For the past couple of weeks, I’ve been working on a little booklet on the July 1864 Brooksville (FL) Raid. I am co-writing this with my dad, and it should out in time for the 2009 reenactment in January. For the past few weeks, I have been exploring the option of starting yet another blog. I actually set up the page, but I have done nothing with it. 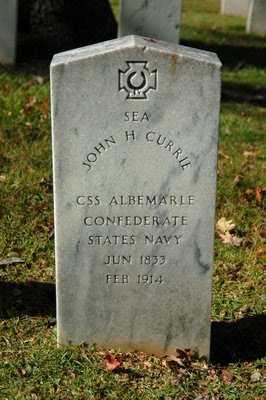 This blog would allow me to explore my interests outside North Carolina, like Capt./Col. Jonathan W. Childs (2nd USCT/4th Mich) – why do none of his bios ever mention his service with the 2nd USCT? Or maybe Colonel Stryker of the 44th NY and his dismissal from the service? Or, one of my favorite places, Cumberland Gap. The problem? I already have difficulty in keeping up with the two blogs that I do have – this one, and my local history blog on the Toe River Valley. I hope everyone has a great Thanksgiving holiday – we are off to visit family. What am I thankful for? Every day I get to crank up this computer and write about the past. This book was just released last week. We (I co-wrote this with Jimmie Daniels) had a book party this past Sunday afternoon. 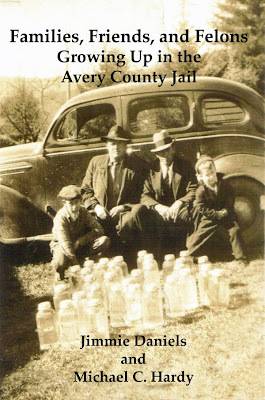 Families, Friends, and Felons takes a look at a historic structure, the Avery County jail, but from a different perspective. When most people think about a jail, they think about the incarceration of wrong doers. We did not focus on those who wound up on the wrong side of the law, but on those who lived in the jail. Over the course of almost seventy years, the jail was home to the jailer, sometimes the sheriff and sometimes an appointed deputy, and his family. The jailer’s wife often cooked (and at times cleaned) for the prisoners, and other members of the family helped take care of those men and women behind bars. Families, Friends, and Felons is the story (in their own words) of those families. They not only witnessed prisoners being brought in at any time of the day or night, but also weddings (two documented) and births (one documented), along with regular observances: birthdays, anniversaries, even Christmas. The book is 51 pages in length and has a dozen photographs, most published for the first time. 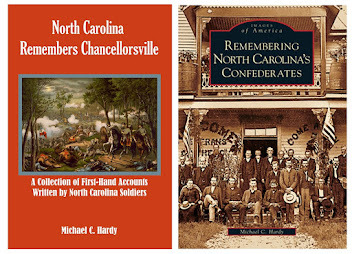 You can get signed copies of this book by sending a check for $15.00 to: PO Box 393, Crossnore, NC 28616 or, you can order it online by visiting www.michaelchardy.com/books.html. If you want us to address this book to someone in particular, please let us know to whom it needs to be addressed. The folks who picked the book up last Sunday have already started calling and saying how much they enjoyed the book. Get your copy soon. It makes a great gift! Well, I hope everyone is well. It’s been snowing here on Hawshaw Mountain and very cold. More like January than November. Today, I received a copy of the new Company Front, the magazine published by the Society for the Preservation of 26th North Carolina Regiment, Inc. This new issue is a look at the programs conducted back in May, when the flags of the 26th NCT and 37th NCT were unveiled to the public. 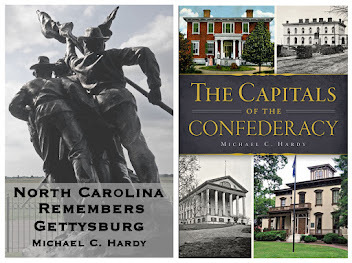 All of the talks given that beautiful Saturday in May are in the issue, and include “Any Man in that Line: The Museum of the Confederacy and the Return of the Twenty-sixth NCT Battleflag.” by Skip Smith; “That What They Had Done Would Not be Forgotten: The Battle Flag of the Thirty-seventh North Carolina” by Michael C. Hardy; “Tar Heel Cincinnatus: Major General Bryan Grimes” by Alan C. Leonard; “Determined Tenacity: The Twenty-sixth North Carolina at Gettysburg” by J. H. Stepp ; and “Homecoming: Flag and Regiment Reunited” by Richard Lane Brown III. This issue is full color and something that I will treasure for a long time. 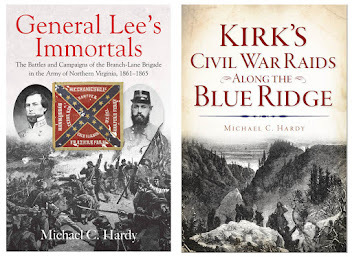 The second article I got recently is by Dr. Kenneth W. Noe, of Auburn University, and is entitled “’Damned North Carolinians’ and ‘Brave Virginians’: the Lane-Mahone Controversy, Honor, and Civil War Memory.” This article examines the May 1864 attack of Lane’s brigade at Spotsylvania and the way in which that attack, and the controversy surrounding the attack, had an impact on Brig. James H. Lane’s life. This article was published in the October 2008 issue of The Journal of Military History. Back a few years, ago, I sent Dr. Noe an article that I had written on the 37th North Carolina and 17th Michigan at Spotsylvania. The article was accepted for publication by a major Civil War Magazine, but alas, it is still languishing, unpublished, gathering dust, right beside other articles, like the bio on Irving McDowell, and the 8th Florida at Sharpsburg. 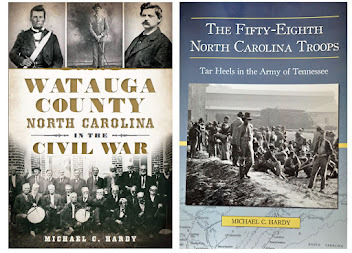 These are two great (and important) pieces of North Carolina historiography and I am glad to have had a very small part in them. A couple of weeks ago, I printed out a county map of North Carolina. It is a modern map, with all 100 present-day counties. I’ve taken a highlighter and marked in the five that I have completed. Boy, I have a lot of work to do. I thought we would stay in the east today, with a look at Dare County. The historical period of North Carolina’s history begins in present day Dare County in 1587. That is twenty years before the settlement of Virginia, and thirty-three years before settlers landed at Plymouth Rock in present-day Massachusetts. In 1587, settlers landed on Roanoke Island and established a colony. Their ships returned to England, leaving the colonists. When the ships returned, the colonists were gone. Dare County was not created until 1870, taken from parts of Currituck, Hyde, and Tyrell Counties. The name Dare comes from Virginia Dare, the first child born of English parents in America, who disappeared along with her family and the other Roanoke Island settlers. Since Dare was not an official county during the War, we will suspend with the votes for president and secession. Present-day Dare County saw quite a bit of action during the war. Following secession, Southerners began constructing two forts along Hatteras Island, in an attempt to protect Hatteras Inlet. These forts were known as Hatteras and Clark and were largely constructed on sand. A third, smaller fort, named Oregon, was constructed at Oregon Inlet. Fort Hatteras had twelve 32-pounder cannons. Fort Clark was armed with five of the same, and “two smaller guns.” Fort Hatteras was first attacked by the USS Harriet Lane on July 10, 1861, with no damage reported. I am going to hazard a guess here: the firing on Fort Hatteras was the first attack on North Carolina since the state left the Union. The Federal government soon determined that these had attacks had to stop. And, the flow of goods into North Carolina ports had to end. In late August 1861, a joint navy and army attack was launched against the defenses at Hatteras Inlet. The naval bombardment succeeded, and the Confederates retreated to Roanoke Island, where they commenced to build new works. In October 1861, a group of Confederates launched an attack against the Federals at Chicamacomico, pushing the Federals back down the beach to Cape Hatteras. The Federals counter-attacked the next day, pushing the Confederates back. This small bit of history today is known as the Chicamacomico races. To protect Roanoke Island, three forts were constructed on the northern end of the Island, overlooking Croatan Sound. Other smaller works were constructed on the Island, and obstructions were sunk. The Federals, under the command of Ambrose Burnside, finally attacked on February 10, 1862. The battle was a Union victory. You can read a detailed account of the battle on the NPS site here. A year after the Civil War began, Roanoke Island fell to Union Forces. Word spread throughout North Carolina that slaves could find "safe haven" on the Island. By the end of 1862, over a thousand runaway slaves, freed men, women and children found sanctuary here. This colony, precursor to the Freedmen's Bureau, was to serve as a model for other colonies throughout the South. Once again this small Island, site of the first English attempt at permanent settlement in the New World, became a land of historic beginnings. The Freedmen's Colony encompassed unoccupied, unimproved lands from Manteo to the north and west shores, including some of the land today known as Fort Raleigh National Historic Site. A sawmill, hospital, a school with black female teachers and homes were established. Able-bodied men were offered rations and employment to build a new fort. They also enlisted to form the First and Second North Carolina Colored Regiments. The colony could not remain self-supporting without men and became a refuge for three thousand women, children, aged and infirmed. Upon the war's end, the federal government discontinued rations and supplies to colonists and returned land to original owners. Reminiscent of early English efforts, the Roanoke Island Freedmen's Colony was abandoned by 1867. Many freed people remained, and their descendants would become respected local residents. Others settled in communities throughout the region and would become an integral part of eastern North Carolina culture. "Orchestrated by Union Col. 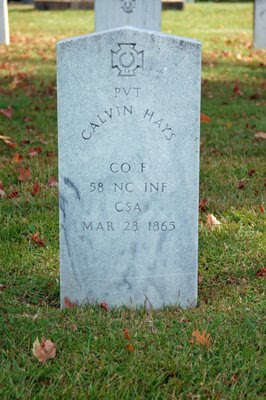 Rush C. Hawkins, the Hatteras Convention was held on Nov. 18, 1861. The state's secession was declared null and void, Hatteras was proclaimed the capitol and Marble Nash Taylor became provisional governor. Taylor called for a special Congressional election held Nov. 28 but, Charles Henry Foster's unanimous election by the four island precincts was ignored by the 37th U.S. Congress. Abraham Lincoln's May 28, 1862 selection of Edward Stanley as military governor effectively ended all claims to any local government." Lots going on – as usual. Here are a few headlines that have been sent to me recently. There was an article in a recent Gaston Gazette on the dedication of tombstones to two brothers: Lt. John H. Roberts (Co. H, 37th NCT) and Lt. Adam M. Roberts (Co. M, 16th NCT). You can read the article here. Over at the Southern Unionist Chronicles, Cenatua has been talking about Shelton Laurel and Stephen S. Shook (58th NCT). There is going to be a marker dedication for 13 Confederate soldiers who died in the battle of Whitehall, North Carolina, on December 13. The dedication service is in Whitehall. 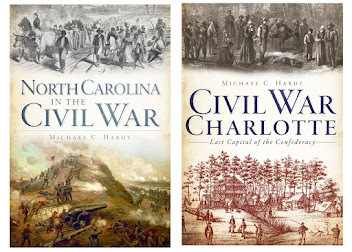 A month or so ago, fellow blogger Drew Wagenhoffer published a review on a new book Fear in North Carolina: The Civil War Journals and Letters of the Henry Family. Check out the review here. There is also going to be a lecture in Raleigh on December 1 on the life of Andrew Johnston. The lecture will be in the old State Capital. You can call 919-733-4994 for more information. You know, there is just not enough hours in weeks at times. I've started working on a post about Dare County, but I'm just not going to have time to get it done today. I'm off to my parent's this afternoon, and will not be back until Sunday night. Here are a couple more photographs from my recent trip to Oakwood in Raleigh.